This place looks like the street where Harry Potter goes for shopping in the first book! Check out my 'curved' window today... same wavelength? 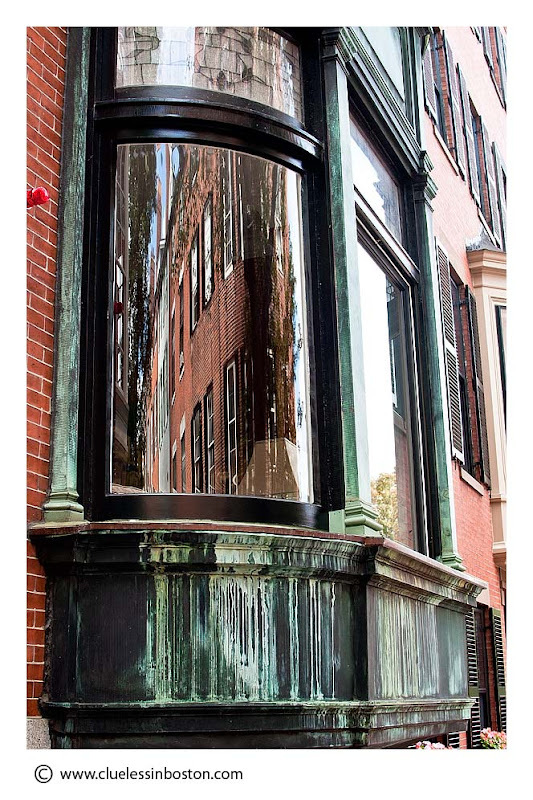 These windows are so Beacon Hill. Great shot. I bet that glass would be difficult to replace. I'm a windows fan, and this one is superb! Beautiful With the patina and the curved glass, this has an elegant but real look.